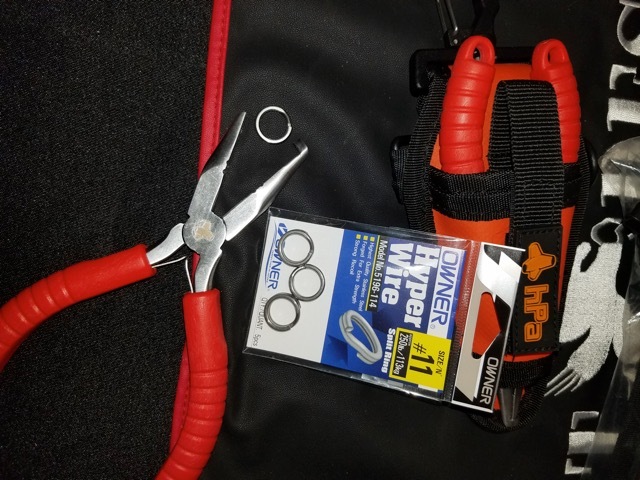 Click the button below to add the hPa Big Game Split Ring Pliers to your wish list. The hPa Big Game Split Ring pliers are made for the offshore fishing market, capable of opening large, high-strength split rings. The gap created in the split ring from the pliers is large enough to allow thick gauge hooks to pass thru, as well as to easily allow the change of stickbaits and poppers if utilizing a split ring connection from the lure to the mainline. The pliers comes with the holster seen above, but please note that it does not come with a lanyard. If you are looking for a lanyard, please click here.